New great white shark at the Monterey Bay Aquarium! , the Aquarium tags every great white shark that they keep in captivity, and once released to the wild, the information garnered from their tracking tags provides a wealth of information about the sharks&apos; range and habits. According to the Aquarium, this new juvenile shark just under 80 pounds right now, but will probably gain 100 pounds over the next six months. The shark was accidentally caught around June 23 by a commercial fisherman near Malibu and was kept in an offshore pen for observation for several weeks. Once marine biologists decided the shark would adapt well to the Aquarium, it was brought to Monterey Bay in the "Finnebago," "a 3,000-gallon oblong holding tank filled with water kept at 68 degrees," according to the Los Angeles Times. 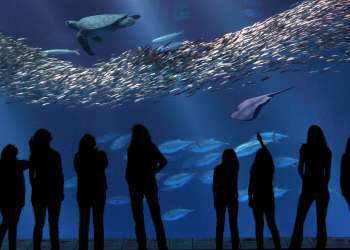 Not able to get to the Monterey Bay Aquarium this weekend? Look at the Outer Bay webcam and see if you can catch a glimpse of it! Have you seen the shark yet? What did you think? Need to plan your visit to see the shark? 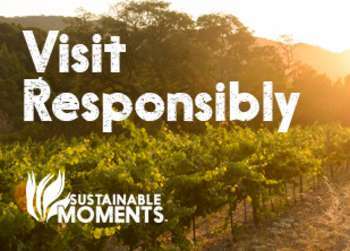 Check out the great escape deals at hotels throughout Monterey County!